Aker Solutions, a global Norwegian company that provides oilfield products and services, recently inaugurated a new facility in Stavanger. PENETRON ADMIX was used for the extensive below-ground structures for protection against groundwater and seawater at the construction site. Main entrance of the Aker Solutions MMO headquarters in Stavanger, Norway. This side of the facility faces the North Sea. PENETRON ADMIX performed flawlessly. Construction proceeded without delay and the results show a completely dry structure. Aker Solutions provides subsea production equipment and offshore field design services to the oil and gas industry with approximately 17,000 people in over 20 countries. 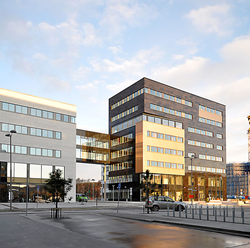 The company’s newest building in Stavanger is the global headquarters for the MMO (Maintenance, Modifications and Operations) division and home to 2,600 employees. Located adjacent to the North Sea, the Stavanger headquarters features eight above-ground office floors (with a total area of 43,000 m2 / 484,400 square feet) and two below-ground floors for a basement (including a bicycle parking area for 1,000 bicycles) and a parking garage (65,000 m2 / 700,000 square feet) with space for 500 cars. About 11,000m3 of concrete for this office building were treated with PENETRON Admix, including the building’s foundation and basement structures. The foundation structures are exposed to the water table and chloride penetration from the seawater. PENETRON ADMIX was chosen to ensure comprehensive waterproofing to reduce permeability for chloride ions in the concrete. 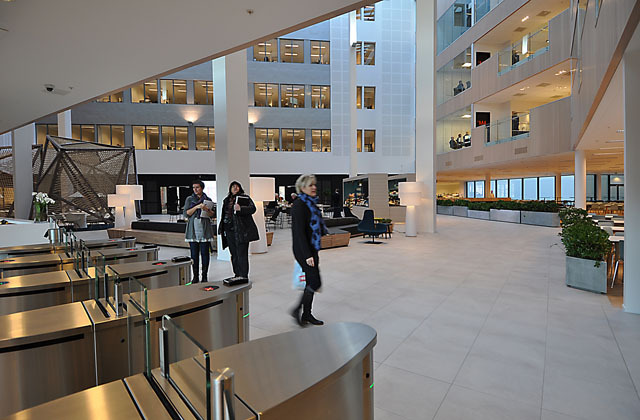 Main foyer of the Aker Solutions MMO headquarters in Stavanger, Norway. 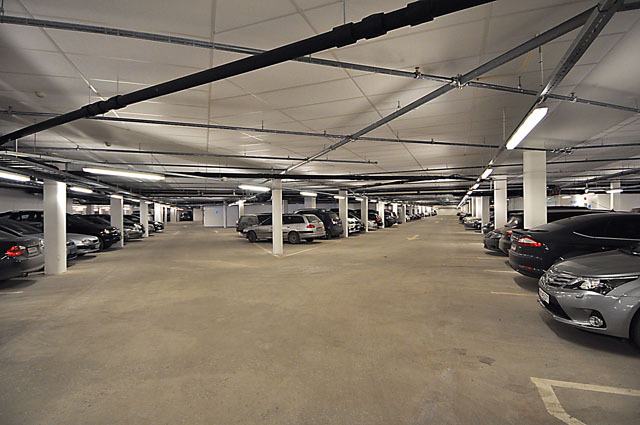 The underground parking garage (500-car capacity) of the Aker Solutions facility in Stavanger, Norway.